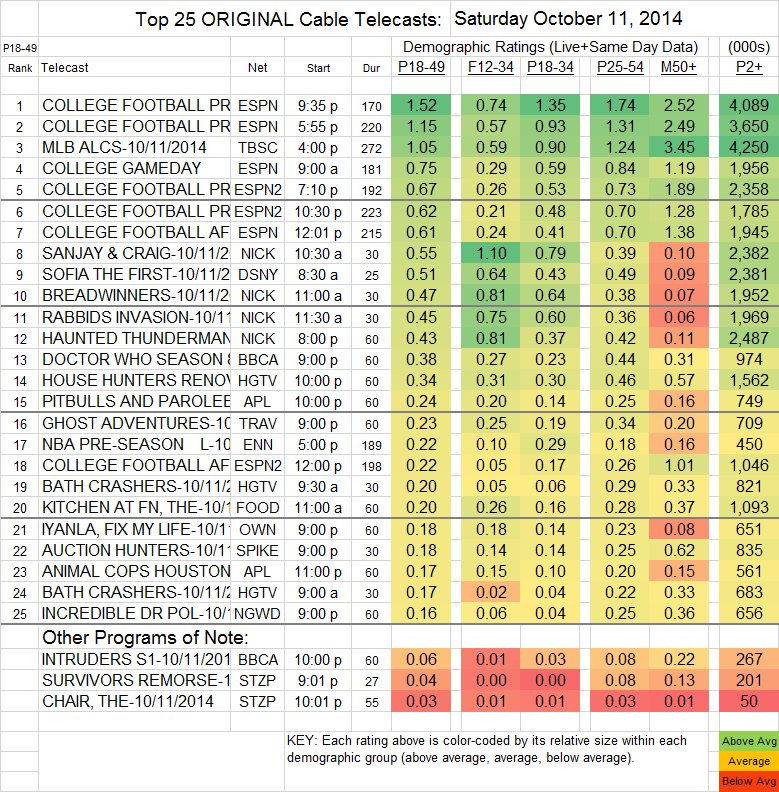 Sports occupied the top 7 slots on Saturday cable, mostly various pieces of ESPN’s COLLEGE FOOTBALL coverage, which ranged from 0.61-1.52, interrupted by TBS’s airing of the AMERICAN LEAGUE BASEBALL PLAYOFFS at 1.05. After that, the list was taken up by a quintet of kids’ shows, SANJAY & CRAIG (0.55), BREADWINNERS (0.47), RABBIDS INVASION (0.45) and HAUNTED THUNDERMAN (0.43) on Nickelodeon, and SOFIA THE FIRST (0.51) on Disney. DOCTOR WHO (BBCAmerica) held the crown for adult drama, up 0.05 to 0.38. 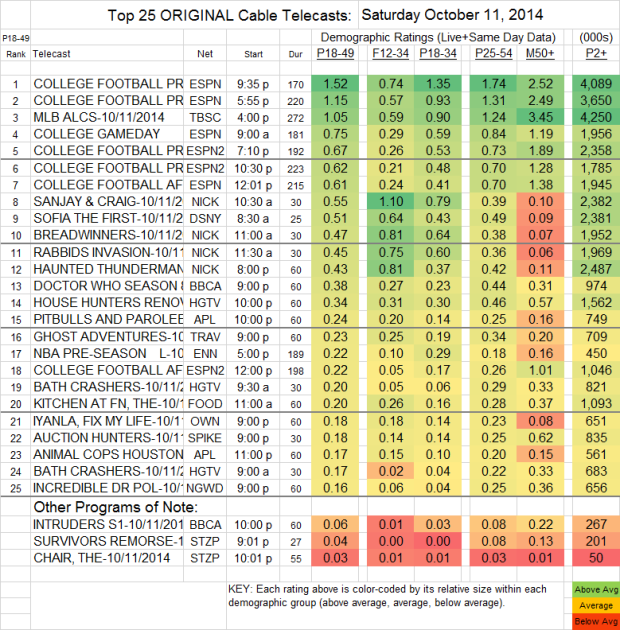 It was followed by the season finale of INTRUDERS at 0.06, down 0.03 from last week. On Starz, SURVIVOR’S REMORSE has already been renewed, because that’s what Starz does with its scripted shows, but it’s certainly not because of the ratings–the 2d episode fell by almost half from its terrible start to an even worse 0.04. THE CHAIR, though, tripled last week’s result… all the way to 0.03.